John Belfield Trichology specialises in the diagnosis and treatment of all hair and scalp conditions, including hair loss and hair thinning. With over 50 years' experience in hair expertise Johns knowledge of hair is unquestionable and with over 45 years as a qualified Trichologist John offers an honest and ethical approach to clinical Trichology. Trichology is the diagnosis and treatment of diseases and disorders of the hair and scalp. 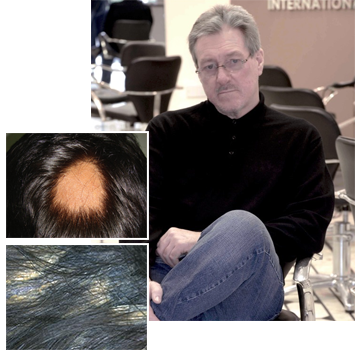 A Trichologist spends years studying hair and scalp disorders and will often see the first sign of an underlying medical condition as the hair and scalp can respond to even slight changes to the body. Our Trichology service is based at our Newcastle Salon. John Belfield is a member of the Institute of Trichologists, qualifying in 1969. John is also qualified in CPR (Civil Proceedure Rules) and he covers the whole of the UK preparing personal injury reports in trichology. Both salons and our website offer a range of trichology hair and treatment preparations.